Marie Antoinette became queen of France at 19 years old. Historians generally agree that there is very little likelihood that Marie Antoinette actually uttered the famous line "Let them eat cake." Marie Antoinette helped provoke the popular unrest that led to the French Revolution and to the overthrow of the monarchy in August 1792. Maria Antonia Josepha Joanna (November 2, 1755 to October 16, 1793), better known as Marie Antoinette, was the last queen of France who helped provoke the popular unrest that led to the French Revolution and to the overthrow of the monarchy in August 1792. 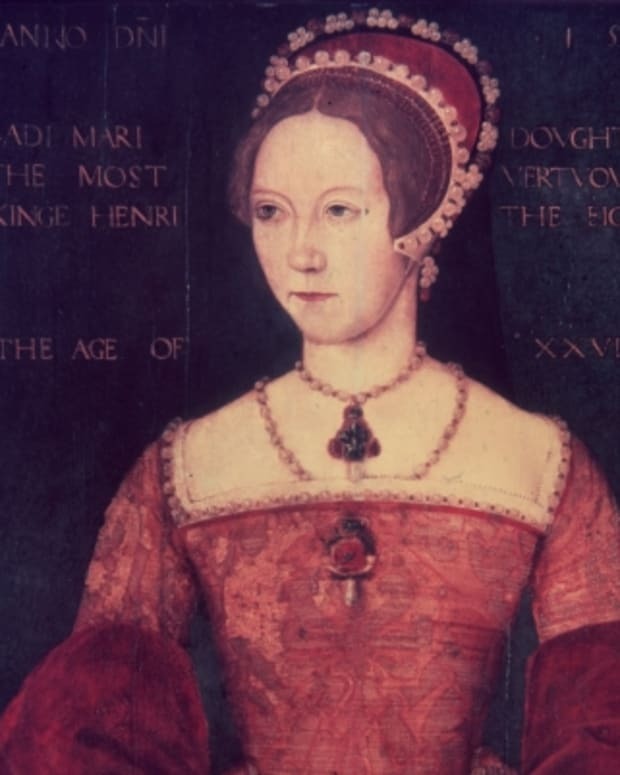 She became a symbol of the excesses of the monarchy and is often credited with the famous quote "Let them eat cake," although there is no evidence she actually said it. As consort to Louis XVI, Marie Antoinette was beheaded nine months after her husband by order of the Revolutionary tribunal. She was 37 years old. There have been two Marie Antoinette biopic movies. The first came out in 1938 and stars Norma Shearer in the title role, with Robert Morley as the king and Tyrone Power as the queen’s lover. The second film, which came out in 2006, was directed by Sofia Coppola and stars Kirsten Dunst as Marie Antoinette and Jason Schwartzman as King Louis XVI. Coppola was nominated for a Cannes film festival Palme d’Or for her work, and the film won a 2007 Academy Award for best achievement in costume design. 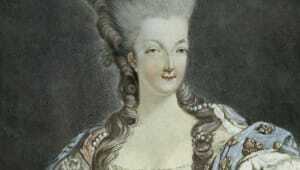 In 1778, Marie Antoinette gave birth to her one and only child, Marie-Thérèse-Charlotte. The previous year, word had reached Marie Antoinette’s mother that her daughter and Louis XVI had not yet consummated their marriage. So Empress Maria Theresa immediately dispatched her son, Marie Antoinette&apos;s older brother Joseph II, to France to act as a sort of marriage counselor. Whatever his counsels, they apparently worked. Marie Antoinette is perhaps best known for the quote, "Let them eat cake." As the story goes, upon hearing that the people had no bread to eat around the start of the French Revolution in 1789, the queen commented “qu’ils mangent de la brioche” — brioche being a type of fancy French bread. However there is no evidence that Marie Antoinette actually uttered these words, and historians generally agree that such a heartless comment would have been highly uncharacteristic of the French queen. 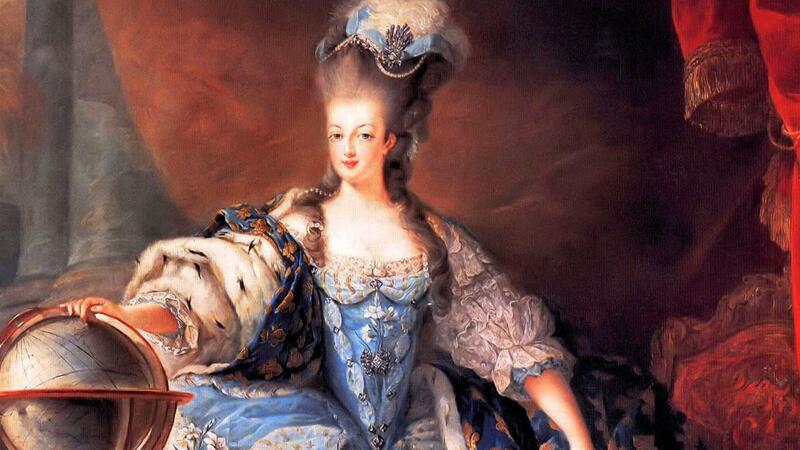 Despite her lavish lifestyle, Marie Antoinette gave to charity and had compassion for her country’s common class. The remark is generally traced back several decades to a version involving “la croûte de pâté” (another kind of French pastry). The comment was supposedly made by Marie-Thérèse, a Spanish princess who married King Louis XIV in 1660. Marie Antoinette syndrome is a condition where all of the hair on the scalp suddenly turns white. 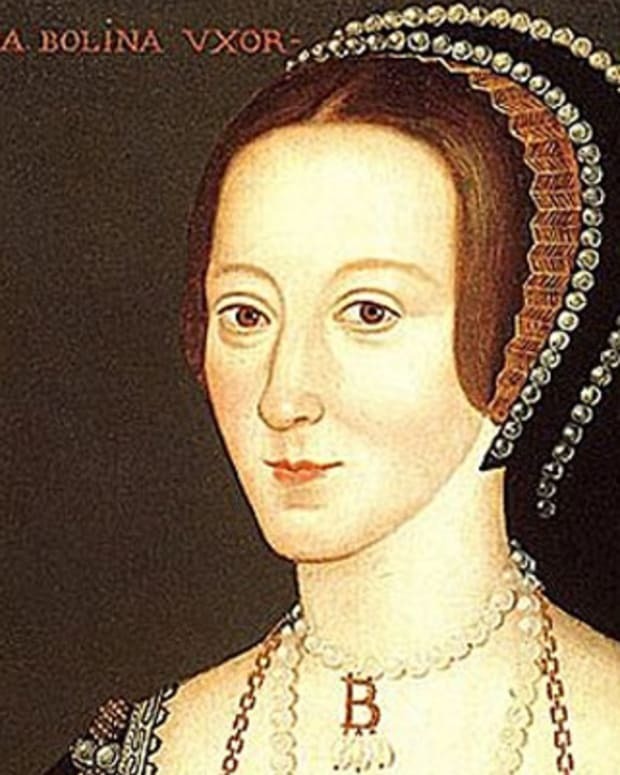 Rumor has it that the last French queen’s hair turned white the night before she was scheduled to be executed at the guillotine, lending itself to the name of this rare but real medical phenomenon. Marie Antoinette was sent to the guillotine on October 16, 1793. Several months before, in January 1793, the radical new republic placed King Louis XVI on trial, convicted him of treason and condemned him to death. 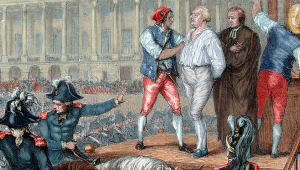 On January 21, 1793, he was dragged to the guillotine and executed. By October, a month into the infamous and bloody Reign of Terror that claimed tens of thousands of French lives, Marie Antoinette was put on trial for treason and theft, as well as a false and disturbing charge of sexual abuse against her own son. After the two-day trial, an all-male jury found Marie Antoinette guilty on all charges. On the night before her execution, she had written her last letter to her sister-in-law, Elisabeth. "I am calm," the queen wrote, "as people are whose conscience is clear." Then, in the moments before her execution, when the priest who was present told her to have courage, Marie Antoinette responded, "Courage? The moment when my ills are going to end is not the moment when courage is going to fail me." 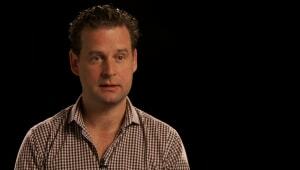 When and Where Was Marie Antoinette Born? 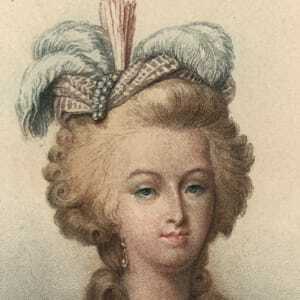 Marie Antoinette was born on November 2, 1755, in Vienna, Austria. Marie Antoinette was the 15th and second to last child of Maria Theresa, empress of Austria, and Holy Roman Emperor Francis I. She lived a relatively carefree childhood. Marie Antoinette’s education was typical of an 18th century aristocratic girl and focused primarily on religious and moral principles, while her brothers studied more academic subject matter. With the conclusion of the Seven Years&apos; War in 1763, the preservation of a fragile alliance between Austria and France became a priority for Empress Maria Theresa; cementing alliances through matrimonial connections was a common practice among European royal families at the time. In 1765, Louis, dauphin de France (also known as Louis Ferdinand), the son of French monarch Louis XV, died. His death left the king&apos;s 11-year-old grandson, Louis-Auguste, heir to the French throne. Within months, Marie Antoinette and Louis-Auguste, the future King Louis XVI, were pledged to marry each other. 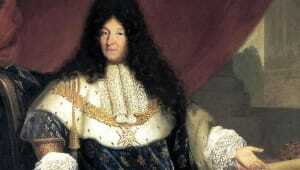 In 1768, the king of France, Louis XV, dispatched a tutor to Austria to instruct his grandson&apos;s future wife. 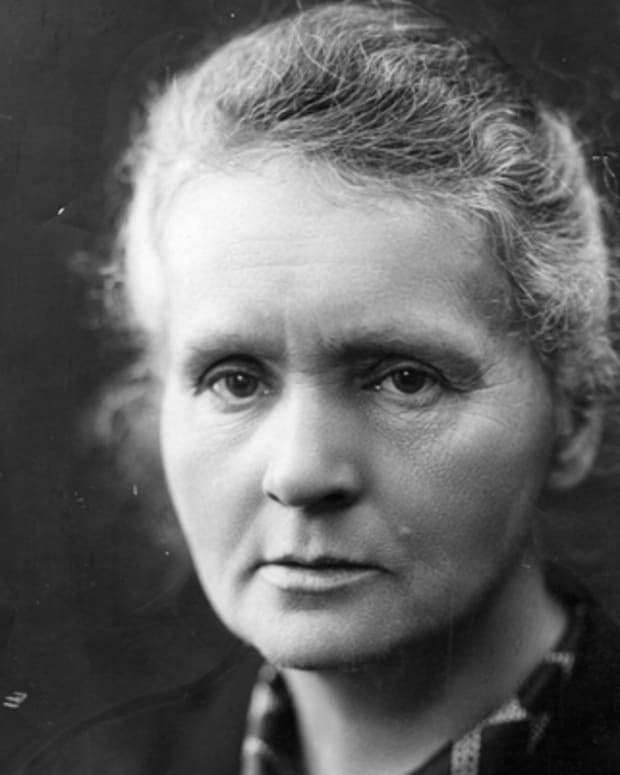 The tutor found Marie Antoinette "more intelligent than has been generally supposed," but added that since "she is rather lazy and extremely frivolous, she is hard to teach." Marie Antoinette was a child of only 14 years, delicately beautiful, with gray-blue eyes and ash-blonde hair. In May 1770, she set out for France to be married, escorted by 57 carriages, 117 footmen and 376 horses. Marie Antoinette and Louis-Auguste were married on May 16, 1770. The young woman did not adjust well to a married life for which she was obviously not ready, and her frequent letters home revealed intense homesickness. "Madame, my very dear mother," she wrote in one letter, "I have not received one of your dear letters without having the tears come to my eyes." 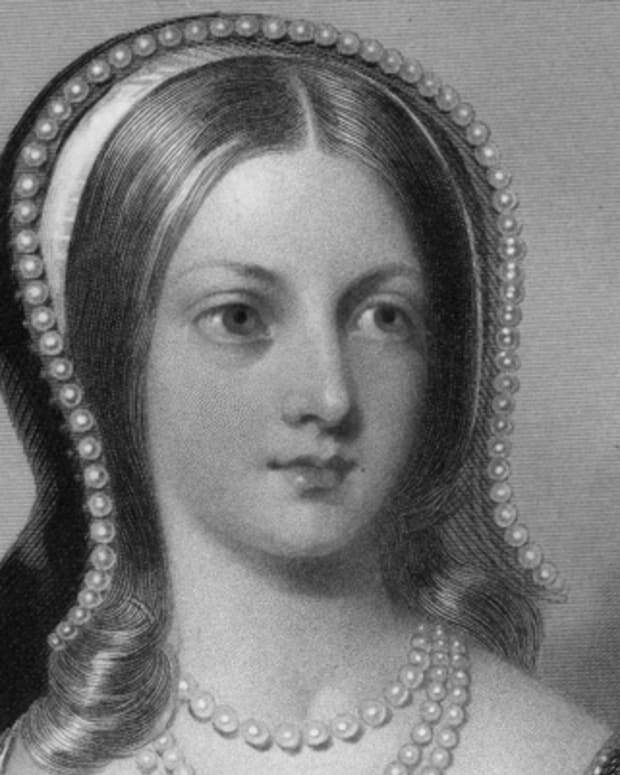 She also bristled at some of the rituals she was expected to perform as a lady of the French royal family. "I put on my rouge and wash my hands in front of the whole world," she complained, referring to a ritual in which she was required to put on her makeup in front of dozens of courtiers. Louis XV died in 1774, and Louis-Auguste succeeded him to the French throne as Louis XVI, making Marie Antoinette, at 19 years old, queen of France. The personalities of Louis XVI and Marie Antoinette could not have been more different. He was introverted, shy and indecisive, a lover of solitary pleasures such as reading and metalwork; she was vivacious, outgoing and bold, a social butterfly who loved gambling, partying and extravagant fashions. When the king went to bed before midnight, Marie Antoinette&apos;s nights of partying and carousing had yet to begin. When she woke up just before noon, he had been at work for hours. Beginning in 1780, Marie Antoinette began spending more and more time at the Petit Trianon, her private castle on the grounds of the Palace of Versailles, almost always without the king. Around this time the first rumors surfaced about her relationship with Swedish diplomat Count Axel von Fersen. During the 1780s, countless pamphlets accused Marie Antoinette of ignorance, extravagance and adultery, some featuring salacious cartoons and others dubbing her "Madame Deficit." At the time, the French government was sliding into financial turmoil and poor harvests were driving up grain prices across the country, making Marie Antoinette&apos;s fabulously extravagant lifestyle the subject of popular ire. 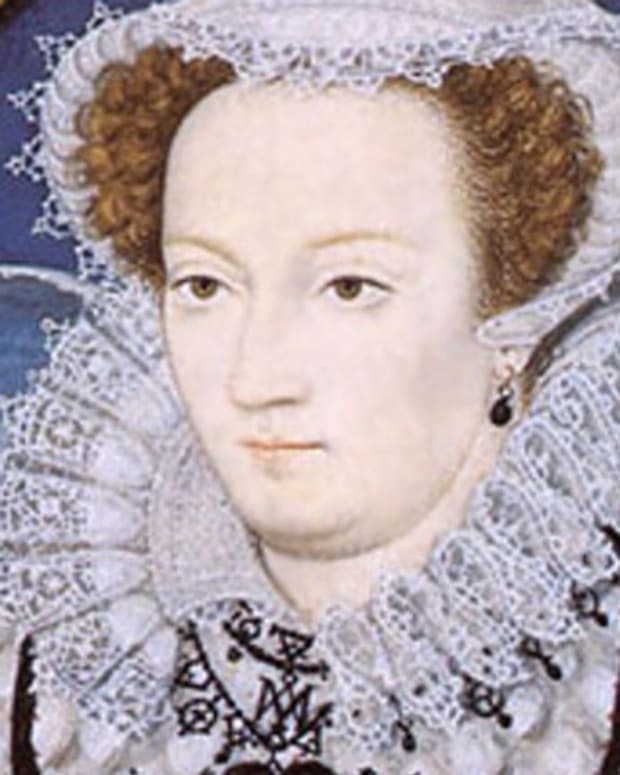 In 1785, an infamous diamond-necklace scandal permanently tarnished the queen&apos;s reputation. A thief posing as Marie Antoinette had obtained a 647-diamond necklace and smuggled it to London to be sold off in pieces. Though Marie Antoinette was innocent of any involvement, she was nevertheless guilty in the eyes of the people. Refusing to let public criticism alter her behavior, in 1786 Marie Antoinette began building the Hameau de la Reine, an extravagant retreat near the Petit Trianon in Versailles. On July 14, 1789, 900 French workers and peasants stormed the Bastille prison to take arms and ammunition, marking the beginning of the French Revolution. On October 6th of that year, a crowd estimated at 10,000 gathered outside the Palace of Versailles and demanded that the king and queen be brought to Paris. 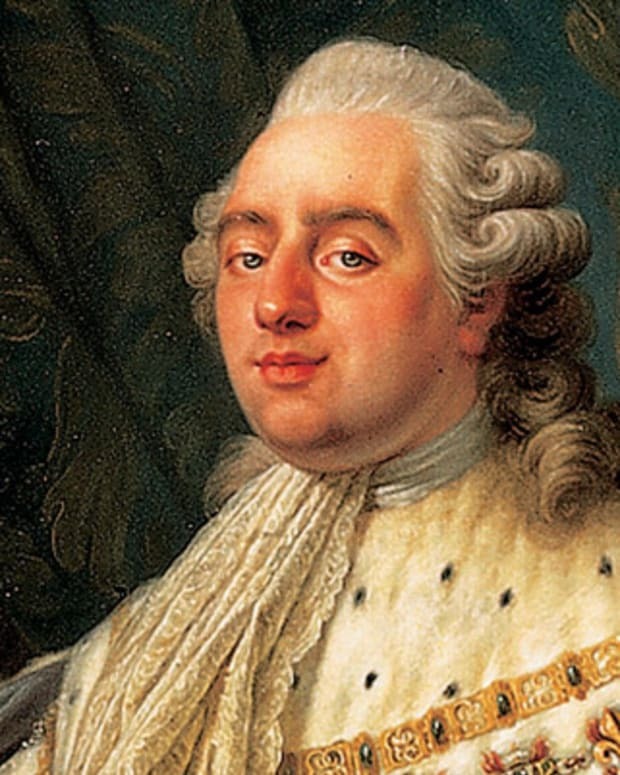 At the Tuileries Palace in Paris, the always indecisive Louis XVI acted almost paralyzed, and Marie Antoinette immediately stepped into his place, meeting with advisers and ambassadors and dispatching urgent letters to other European rulers, begging them to help save France&apos;s monarchy. In a plot hatched primarily by Marie Antoinette and her lover, Count Axel von Fersen, the royal family attempted to escape France in June 1791, but they were captured and returned to Paris. In September of that year, King Louis XVI agreed to uphold a new constitution drafted by the Constituent National Assembly in return for keeping at least his symbolic power. 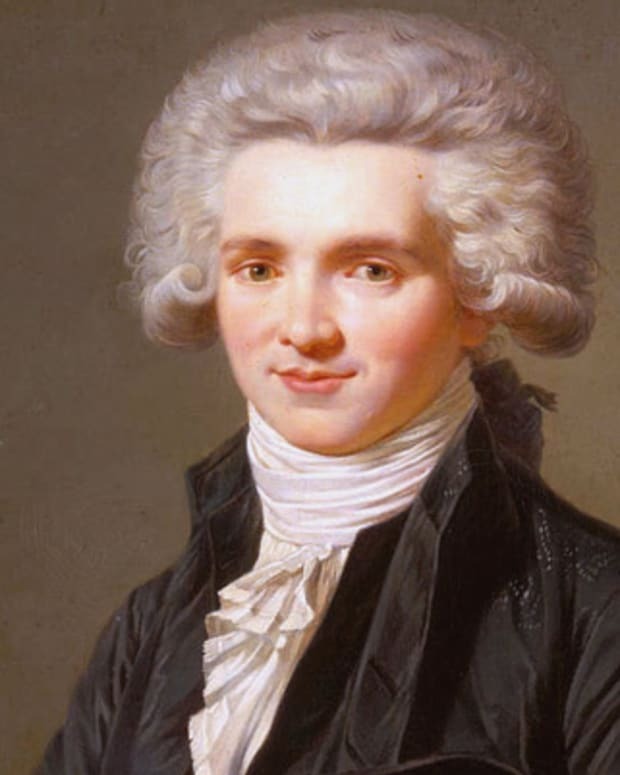 However, in the summer of 1792, with France at war with Austria and Prussia, the increasingly powerful radical Jacobin leader Maximilien de Robespierre called for the removal of the king. 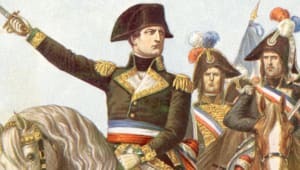 In September 1792, after a month of terrible massacres in Paris, the National Convention abolished the monarchy, declared the establishment of a French Republic, and arrested the king and queen. 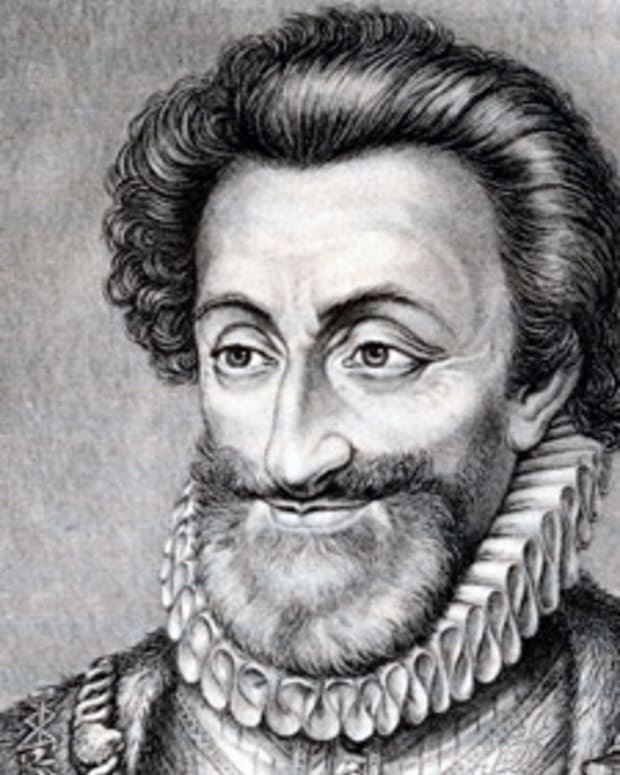 The last queen of France has been vilified as the personification of the evils of monarchy. At the same time, Marie Antoinette has also been exalted as a pinnacle of fashion and beauty, with obsessive scholarship on her choices in wardrobe and jewelry and endless speculation about her extramarital love life. Both of these takes on Marie Antoinette&apos;s character demonstrate the tendency, as prevalent today as it was in her own time, to depict her life and death as symbolic of the downfall of European monarchies in the face of global revolution. As Thomas Jefferson once said, predicting the way Marie Antoinette would be viewed by posterity, "I have ever believed that if there had been no Queen, there would have been no revolution."